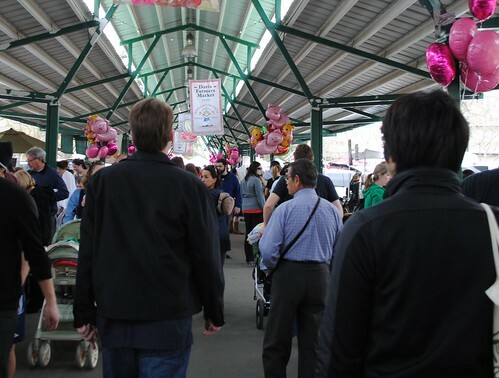 This past Saturday, the Davis Farmer’s Market held it’s annual Pig Day celebration. 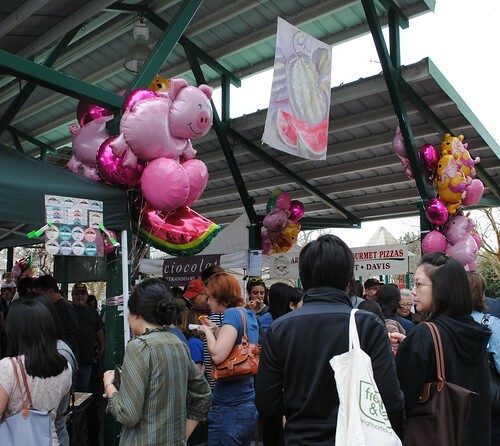 The stalls were decorated with cute pink balloons and signs and people were dressed in various pig costumes. 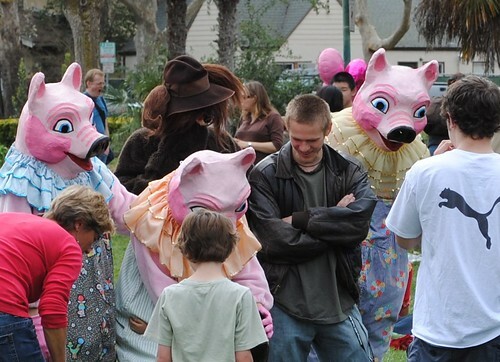 There were a lot of fun activities for kids like a pig petting zoo, pony rides and craft booths. Kids could make their own piggy banks, pig noses, and pig masks. 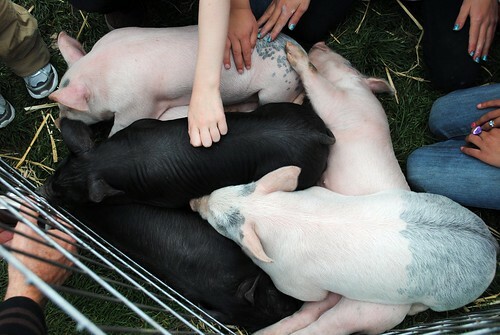 The petting zoo was particularly popular with adults and children wanting to pet and look at the adorable, three-week old pigs. The real stars the baby piglets at the petting zoo. The Wolf and the Three Little Pigs entertain the crowd. There was also a great deal of pork themed dishes from various local restaurants. All pork was supplied by the organic Bledsoe Farms. Their were pulled pork sandwiches, pizzas, breakfast sandwiches, ribs, pigs and a blanket and stir-fries. Sadly, I got there late and wasn’t able to try any of the featured food. It is a really popular event so it’s wise to arrive early.